Do you have a space or project? 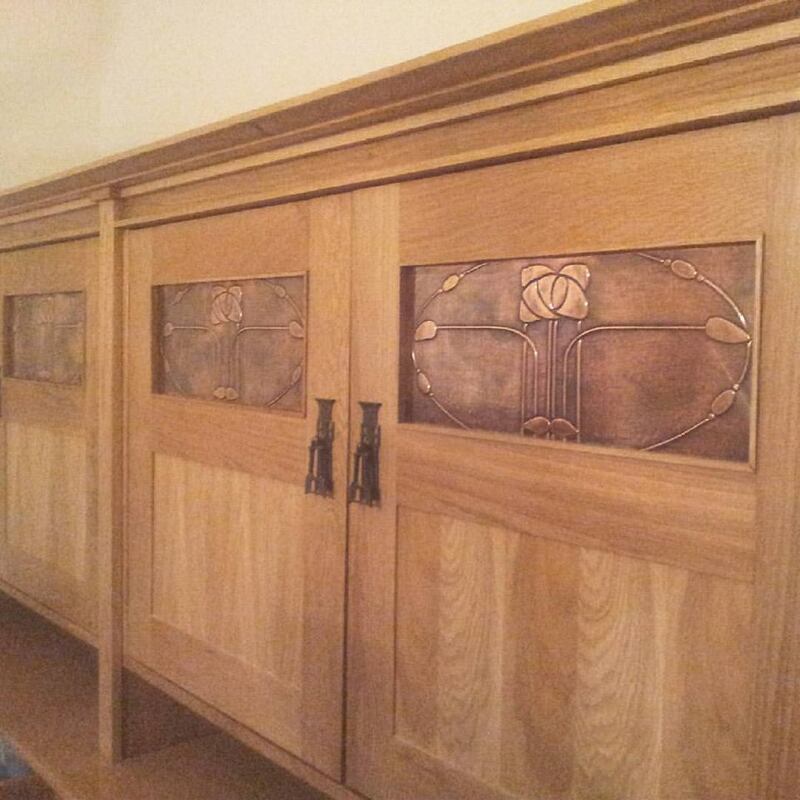 “Thank you again for creating that magnificent Arts and Crafts sideboard for us - it was worth the wait for all the attention to detail"
"We are absolutely delighted with our bookcase and fire surround. Thank you very much for making them for us - we just love them"
"I just got back from a walk and been admiring my beautifully restored front door! Thanks again"
Eoghann follows in an established line of builders and entrepreneurs. From the 19th century the Menzies family have been building and designing in Scotland. Becoming established builders in Glasgow after their migration south from Highland Perthshire. In 1870 D. Menzies & Co. builders was established. In addition to Eoghann's College & University studies, Eoghann has studied the architecture and design of the 19th & 20th Century through his travels throughout Europe, North America, Asia and Australia. During that time photographing and compiling a collection of Arts and Crafts, Jungendstil, Art Nouveau and Art Deco details and styles, to further broaden the inspiration and scope of his designs.